Prime Minister of the Netherlands Mark Rutte has taken out full-page ads in several newspapers urging those who are unhappy with the Dutch way of life to leave. "If you live in a country where you get so annoyed with how we deal each other, you have a choice. Get out! You don't have to be here! "the advertisement, addressed to all Netherlanders, read. The ad was seen as a not-so-subtle attack on Rutte’s close rival Geert Wilders, notorious in Europe for his anti-immigrant and highly outspoken anti-Islamic stance which previously landed him in court. 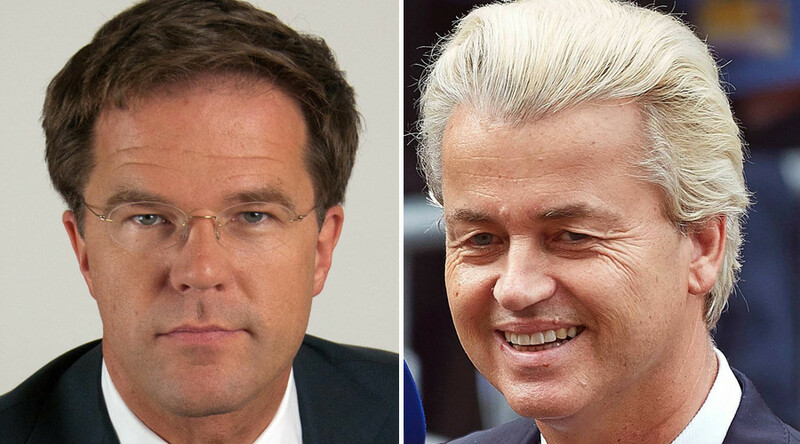 Dutch general elections are due to take place on March 15 and are seen in the media as a showdown between former coalition allies Wilders, of the Dutch Freedom Party (PVV), and incumbent PM Rutte’s center-right People’s Party for Freedom and Democracy (VVD). Even if Wilders’ party were to win, Rutte has ruled out the possibility of forming a coalition with the PVV. Wilders’ Freedom Party previously refused to endorse austerity measures proposed by the European Union, resulting in a schism between the two politicians, Rutte’s resignation as prime minister and the collapse of the government in 2012. Rutte has been accused by some of attempting to lure voters away from the PVV in the run-up to the election by emulating both Wilders’ style and his stance on traditional values, employing more populist tactics than he had previously.